theswca blog: Collecting Track Social Room Patch Giveaway! Star Wars fan sites unite for an exclusive patch only available at Star Wars Celebration Anaheim. Star Wars Action News, Jedi Business, Jedi Temple Archives, Yakface.com and Jedi News UK have combined forces to create a unique piece of Star Wars memorabilia for Star Wars Celebration Anaheim! Together they have created the Star Wars Celebration Collecting Track Patch Set! Available exclusively in the Star Wars Celebration Anaheim Collector’s Social Room, each site has sponsored and will give away one wedge of this set. 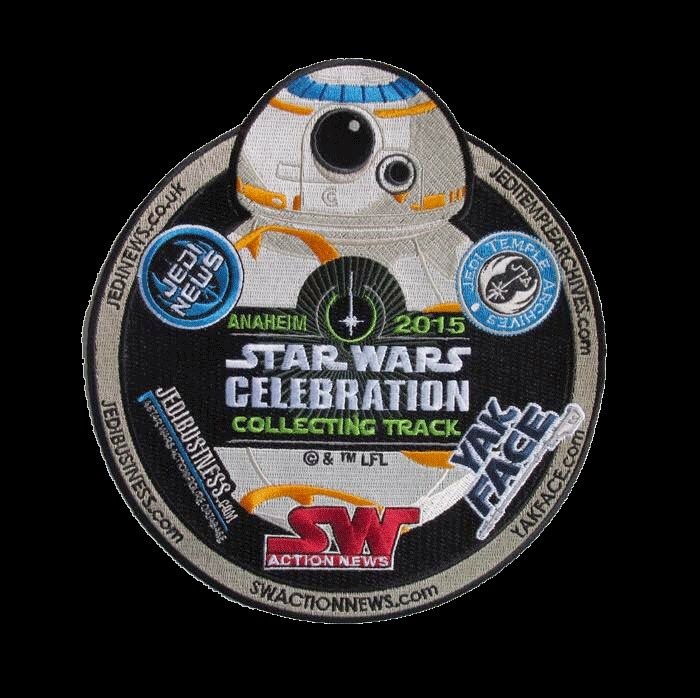 Collect all six patches and you can form BB-8 -- the new, rolling droid featured in Star Wars Episode VII: The Force Awakens. Each of the five sites site will hand out one their patch during the Fan Site Meet and Greet held in the Celebration Collecting Social Room (210D). The sixth piece--the top featuring BB8’s dome--is an exclusive wedge to the Collector’s Social Room and will be given away at random times during panels, podcasts, signings and other events in the Collector’s Social Room. Be sure to attend those events to get the patch! A small number of top wedges will also be given away through the official Star Wars Celebration Anaheim Collecting Track Twitter Account. Follow @C6CollectTrack for more information.